Meet Mazda’s Skyactiv Technology: the revolutionary car engineering that makes every car ride like walking on a cloud - or rather, like revving on a cloud. Here below are the three reasons and three cars that solidify Skyactiv’s powerful technology and efficiency. Unlike the great search for the Fountain of Youth, Mazda’s quest for the compression ratio perfection has been found and achieved. Clocking in a 14:1, the Skyactiv Engine’s compression ratio is an ideal combustion next to any common engine. While any common engine only reaches the potential of 30 percent fuel energy, the 14:1 compression ratio delivers unparalleled fuel efficiency by compressing an air-fuel mixture that uses every ounce of energy it can. Whether gas-fueled or diesel, both Skyactiv engine makes can boast the same great compression ratio. For Skyactiv-G gasoline engine, this fresh engine has - by comparison to common car engines - improved fuel efficiency and torque by 15 percent. In particular, torque performance at the low and medium speeds has seen the most improvement; equipping a very efficient direct injection structure into the Skyactiv-G engine, the torque performance not only performs better but better for every type of car drivers and their daily needs. And Skyactiv-D diesel engine keeps the impressive standards coming. With Skyactiv-D, a car will combine a dream team of accolades: high fuel efficiency, clean emissions, and high performing direct acceleration response. Alongside the well-known 14:1 compression ratio, this engine has improved even more so than its gas-fueled brethren. Next to the common car engine, Skyactiv-D creates a 20 percent increase in fuel economy. How? Mazda has installed a turbo charger that makes sure your acceleration response is nothing but smooth, direct, and superb. The Mazda3 homepage slogan boasts: “Some bend the rules. We change the game.” The Mazda3 partnered with Skyactiv technology lives up to this slogan and then some. Producing more power and less gas, the 2015 Mazda3 made with Skyactiv technology drives up to 5.7 liters/100 km. How? Through 5-cycle testing, the Mazda3 can reach more real world miles with impressive fuel economy; these numbers outlast competitors Honda Civic and Nissan Sentra. 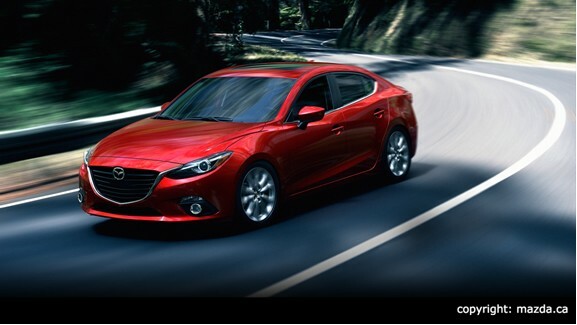 Alongside Skyactiv, Mazda3 also includes i-Activsense, a technology focused on the ultimate car safety net. i-Activsense includes Blind Spot Monitoring (a radar that senses and detects objects in your blindspots and warns you with a light in side mirrors), Adaptive Front Lighting (a front light system sensitive to nighttime illumination and the directions of your turns), Lane Departure Warning (an alert system predicting when your vehicle departs from its lane), and Smart City Brake Support (a brake support system that detects and prepares vehicle to stop for objects ahead). Combine all this technology with an affordable price and you will be throwing your hands in celebration to the skies. 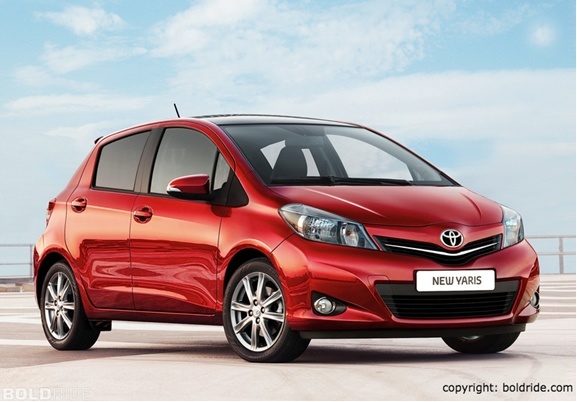 Extra features: Advanced Keyless Entry system, 9-speaker premium Boss audio system with Centerpoint Surround Sound System and AudioPilot noise compensation technology, Bluetooth hands-free phone capability, 7-inch colour touchscreen display, and SiriusXM Satellite Radio with fin antenna (free 6-month subscription). Here is where perfection means control. Unlike engine efficiency’s affect on fuel efficiency, a great transmission is marked by its control. Mazda took this to the heart of their engineering and built a beast with a brain. By expanding the lockup range more than 80 percent and ensuring its lightweight nature, both the Skyactiv-Drive automatic transmission and Skyactiv-MT manual transmission drive fresh; manual shifts clean and automatic feels like a manual. You know something is good when everybody wants a piece of it. And that someone is Toyota. Last year March, Toyota announced a partnership between their North American sub-compact vehicle line and Mazda Skyactiv technology. Set to replace the underwhelming Yaris, the new Skyactiv-activated Toyota will be one of the only few direct-injection engines in Toyota’s stock. The announcement of the partnership proves that all engineers want in on this impressive technology. Who will want in next? 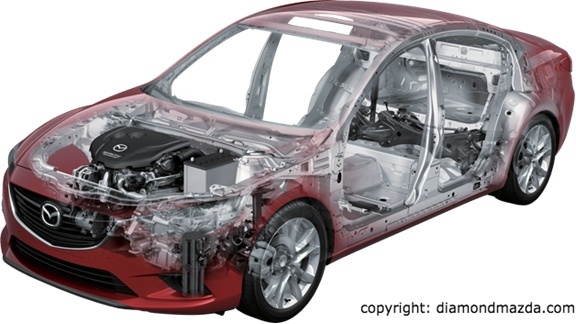 As mentioned in the Skyactiv Transmission section, weight reduction is part of the Skyactiv plan. Mazda believes an “ideal platform is one that combines a highly rigid but light framework with driving comfort made possible by dramatic improvement of the cars’ basic driving functions - accelerate, turn and stop.” This belief, motto, creed is rooted deep in Japanese folklore of “Jinba Ittai,” a traditional character part of Japanese horseback archery culture. This character means oneness; this character means “perfect unity” between the horse and its rider. Mazda intends for its riders and their red metallic horse to be one when conquering the real world road. And at 8 percent weight reduction off its framework and a rigidity improvement rating of 30 percent, car, rider, driver and admirer can experience this smooth and safe ride. Currently, Skyactiv technology can be found in select Mazda3, Mazda CX-5, and Mazda6, but long term plans for Mazda is promising. One soon future day, Skyactiv technology will be part of every new Mazda vehicle. From perfect compressed engines to lightweight platforms and transmissions to impressive sleek bodies, Mazda and their Skyactiv technology are not just the future car you crave; these cars are the future. Grab the future today at Budds’ Mazda. 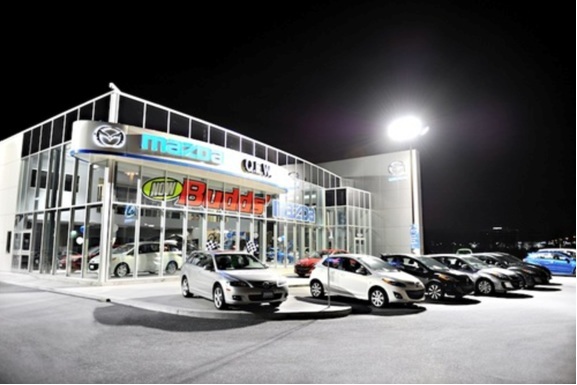 To learn more about Mazda Technology and Budds’ Mazda, click here.